This first volume from the EDUCAUSE Leadership Strategies series examines the changes and challenges that the advanced Internet2 will bring to higher education campuses everywhere. 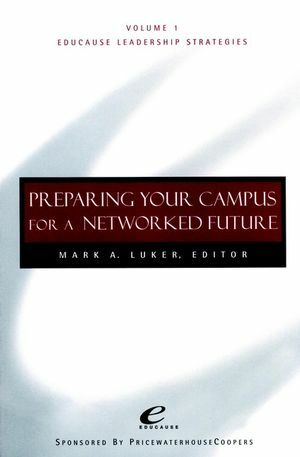 Edited by Mark Luker and featuring the insights of experienced campus leaders and information professionals, this forward-thinking guide provides a roadmap to the extraordinary capabilities of the advanced Internet to come. The contributors reveal how this new networking environment will affect business operations, academic instruction, libraries, information management, regional partnerships, federal funding, policy decisions, and more. Each chapter offers specific recommendations and strategic advice to help institutional leaders make complex decisions about the future of networking on their campuses-such as when, how, and how much to invest in upgrading current technology to support the new networking environment. Far from a technical study, Preparing Your Campus for a Networked Future is a pragmatic exploration of what leaders can do to prepare for continually evolving technology. MARK A. LUKER is a vice president at EDUCAUSE, responsible for monitoring policy that affects information technology and telecommunications. He is also head of Net@EDU, an EDUCAUSE program that develops leading strategies for networking in higher education. Advanced Networking in Higher Education's Future (M. Luker). Instructional Roles for Advanced Networks (C. Barone & M. Luker). Libraries of the Future (R. Lucier). 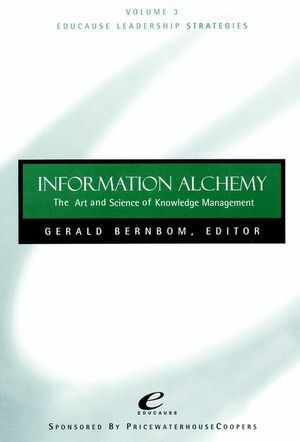 Inventing the Advanced Internet (D. Van Houweling). Preparing the Campus for Tomorrow's Network (P. Long). Working with Neighboring Campuses (R. Hutchins). National Policy to Broaden Participation in Advanced Networking (G. Strawn & D. Staudt). How to Do More with Less (E. Chaffee). Developing a Campus Vision and Leading the Way to Change (M. Luker).